Top picks for saying thank you teacher! 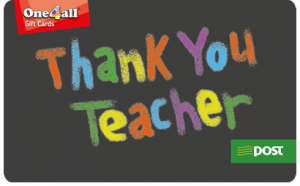 Our Top Picks For Saying Thanks Teach! School is coming to a close and teachers are rejoicing. They’ve been educating a full class of children for a year and we at One4all think that deserves a HUGE thank you. 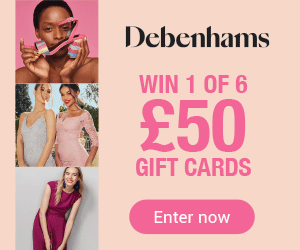 It can be tricky to pick the perfect gift for your child’s teacher so we’ve decided to give you a few suggestions; all items featured can be purchased with a One4all Gift Card. After months of being in school every teacher needs some chill out time. 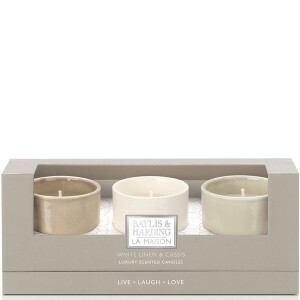 This gorgeous Baylis and Harding ceramic candle set will have them feeling stress free in no time! The featured set is white linen and cassis scented which will give them a warm, invigorating scent, perfect for summer time. This 3 candle set is available from Debenhams for €28. Who doesn’t love tea? How pretty is this Lavender mug set from Marks and Spencers? 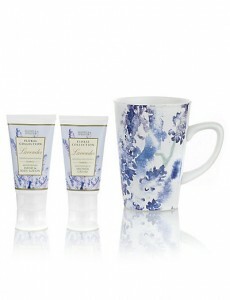 Not only does this set include a floral mug but also contains lavender scented hand and shower lotion. This is perfect for the ’hands on’ teachers who love getting involved in their classes’ work and don’t mind getting their hands dirty! With lavender scented lotions this gift promises to leave them feeling fresh as a daisy and ready for another day. Nothing beats a box of chocolates to show someone you care. We choose a box of 22 for €13.90 in Leonidas Dublin. 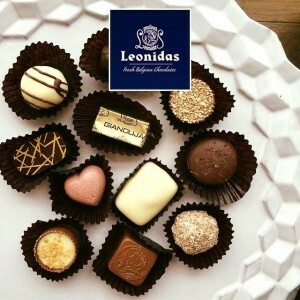 With over 100 varieties of fresh handmade Belgian Chocolates you won’t run out of choice for picking out your box. Teaching is hungry work! 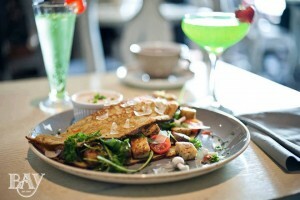 Your teacher will appreciate Bay restaurant’s amazing €16.00 two course lunch menu. Located in Dublin 3 looking on to the stunning Dublin bay this dining experience is a feast for the senses. If your teacher always smells like a million dollars, Boots have lots of affordable aftershave gift sets which will make him smile! We found this Givenchy ‘Gentlemen Only’ Casual Chic Eau de Toilette Set which is now only €20.99. This set contains: - Gentlemen Only Casual Chic Eau de Toilette 100ml - Gentlemen Only all-over shampoo - Gentlemen Only after shave. All items featured are from One4all retailers and can bought with a One4all Gift Card.